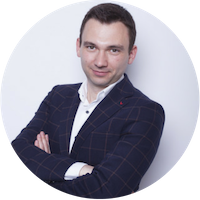 Alexandru Radu is a passionate business developer with 14+ years of proven capability in driving success for industry leaders using a special brew of business solutions knowledge, consulting experience and customer service excellence. After a career in programming, consulting, project management and training, he turned into a trusted advisor for customers bridging the gap between the technical and business worlds of the software industry. Choosing the right digital tools for your business, in a constant changing market, is a vital decision for the future of the company. Every day new products emerge promising you maximization of productivity, decrease of costs, automations, better management of resources; and some of them are right with the mention that most of them solve one problem at a time. In this new era of Business Applications, the ideal solution is a not a unique product but a blend of applications and services. There are no two identical companies, even if they activate in the same industry and have the same profile; the main differentiator of each one of them is its people and values. Every company has today the possibility to thrive by creating its own personalized solution which integrates the latest apps and services, in order to serve not only their company’s needs but also those of their employees. Today’s Business Applications are easier to implement, less expensive, more flexible and intuitive but what does it take to choose the right ones for your business?